Barges going away from Tring High Canal Bridge, taken in 1935. 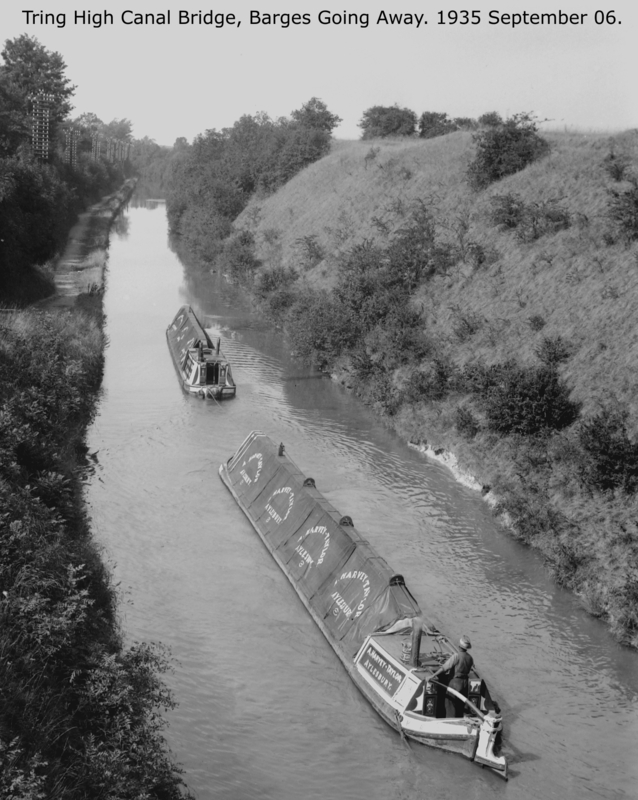 Taken in the afternoon, of a pair of Harvey Taylor boats heading slowly north, perhaps loaded with wheat possibly for the Meads/Heygates mill on the Wendover arm (H-T didn’t carry much else requiring cloths). Note the running blocks on the butty, leading the snubber (towline) back to a t-stud on the cabin roof under the control of the steerer. The motor steerer seems to have ducked down out of sight, which may explain the slow speed!